Sharp Halo projector fog lights by Spyder for F-150 at CARiD.com - Ford F150 Forums - Ford F-Series Truck Community. When you are living in a fog-free area, then such an add-on as fog lights may not be useful in your life. However, if you occasionally find yourself in dense fog area where it is quite common to have zero visibility... Well, then probably fog lights could be a huge help. Fog tends to reflect the light back causing the glare you see when it's really thick. CARiD is here to cover you up with our super bright Halo projector fog lights manufactured by Spyder for improved illumination and better visibility. Mounted low on the vehicle and angled toward the road, fog lights reduce glare and illuminate the road right in front of the ride. The most important thing about these fog lights is that they come equipped with Halo rings, that light up with your parking light. Moreover, Halo rings circles are really sharp and visible even in a daytime. 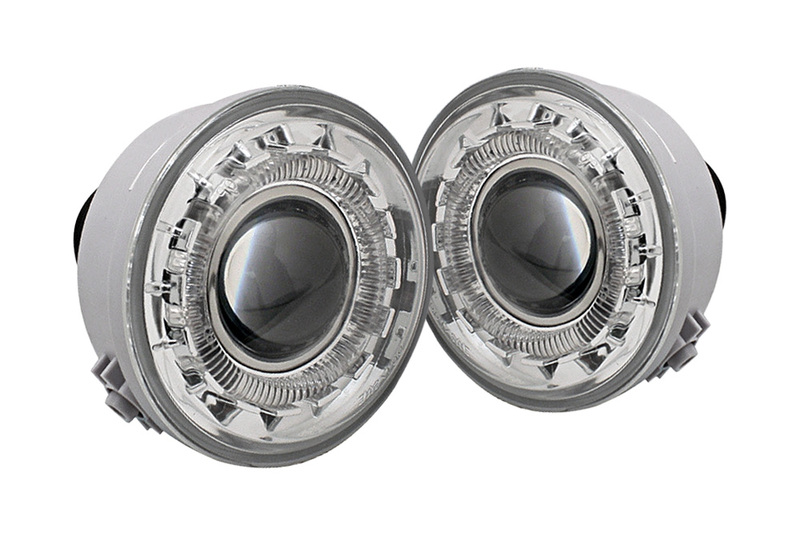 Find prices and more details about our bright Halo projector fog lights by Spyder here. High-quality fog lights, in addition to good headlights, are still better than headlights alone. How to install projector headlights with LED or Halo rings? The Smartest Running Board on the Planet by Bestop!